When G and I first moved in together, he questioned the amount of trays I brought with me. He felt they all had the same function (to hold our food while we ate in front of the TV), but I believe they&apos;re one of the best decorating tools for creating pretty little vignettes around the house. My collection is still fairly large, but this white lacquer version from West Elm is easily one of my favorites. 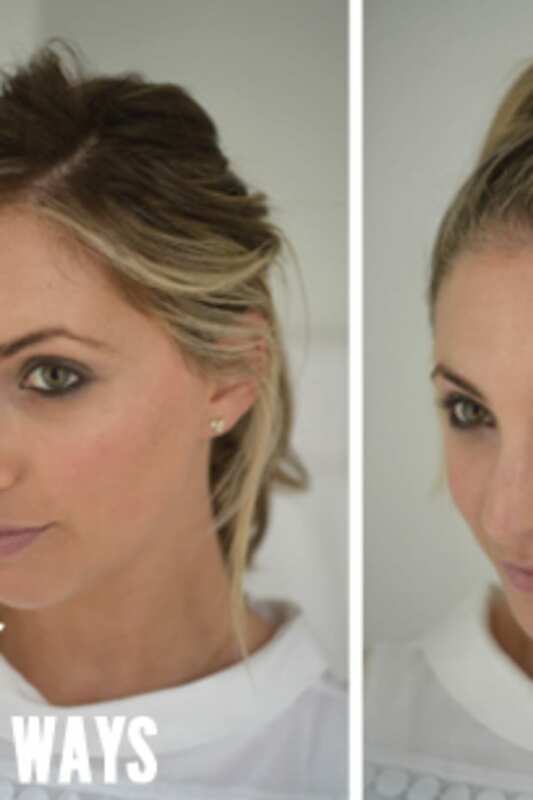 It&apos;s utilitarian, affordable and incredibly versatile. 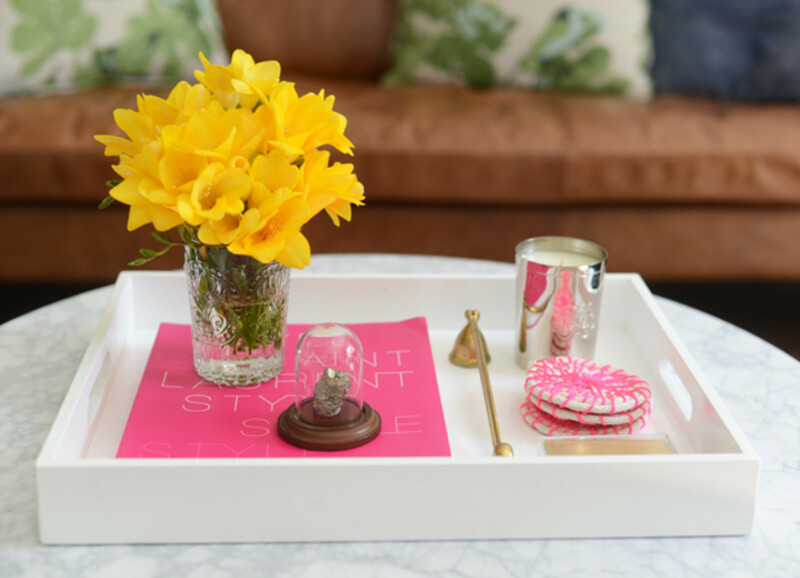 Here are three different ways I&apos;ve styled this basic tray around our house. Coffee Table – We spend a lot time in the living room. 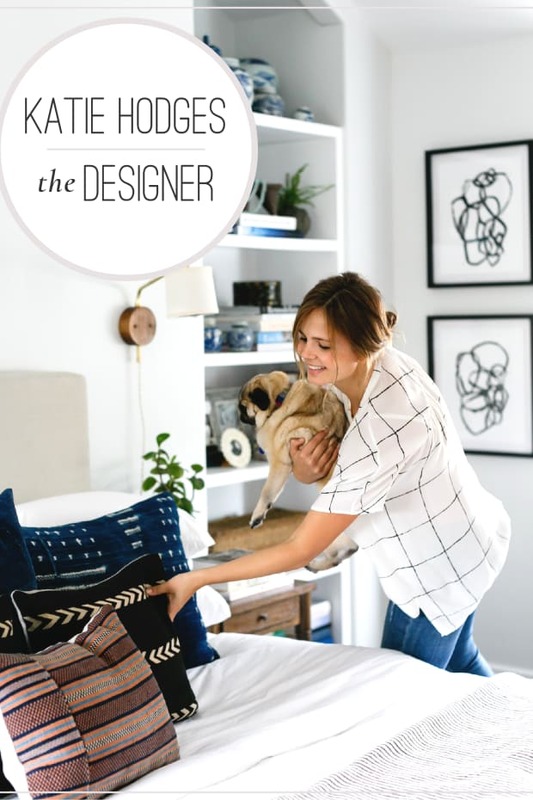 It&apos;s a place where we sometimes eat, oftentimes entertain, and occasionally nap. 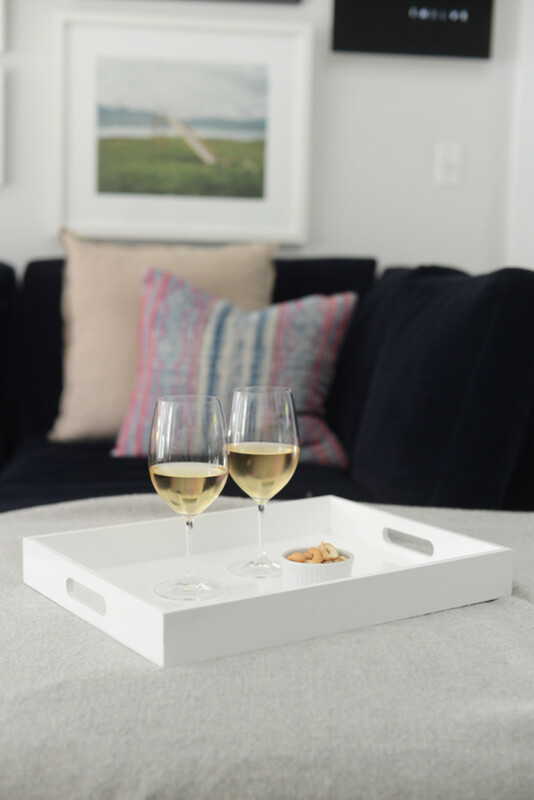 Our tray on the coffee table not only keeps our must-haves in reach, but also clears space to put out interesting art pieces and keepsakes. 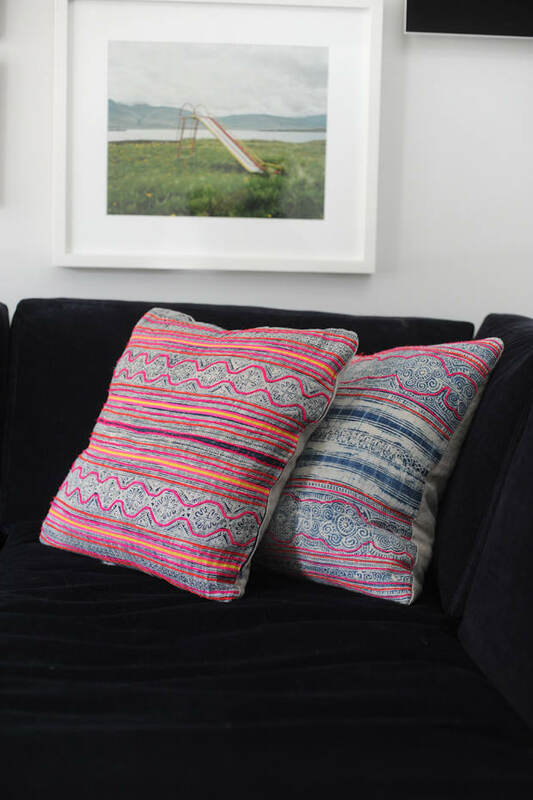 Some other ideas: current magazines, a small bowl or canister for snacks, special trinkets or flowers. Bathroom counter – My bathroom counter gets messy quickly. 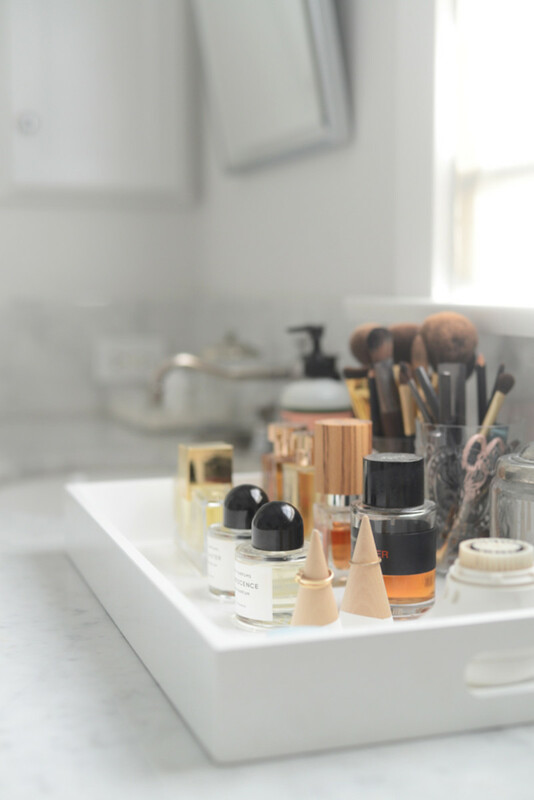 Having a tray on the counter, where I’ve organized some of my prettier beauty items, helps motivate me to keep the place orderly and places my essentials within reach. Some other ideas: candles, perfume, a small ring dish or tray, lipstick holders, a bud vase, pretty matches or a lucite tissue box. Bar or Kitchen Counter – We love cocktails and whenever we entertain, we like to have one signature drink already mixed when guests arrive. 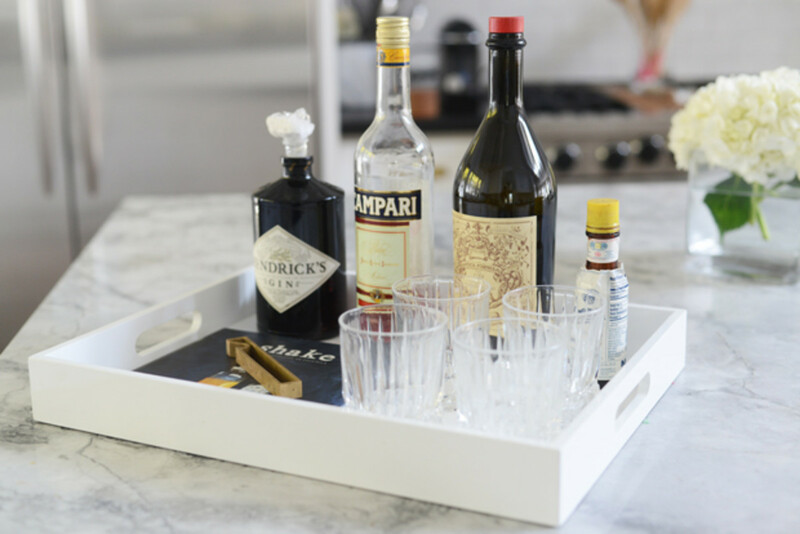 Rather than having people go back and forth from the bar cart, picking through various bottles, we set up a tray with all the ingredients and glassware on the kitchen counter. Some other ideas: a bottle opener, corkscrew, low glasses, straws, cocktail napkins, a vase with fresh herbs, a jigger, shaker, cocktail spoon or cocktail recipe book.